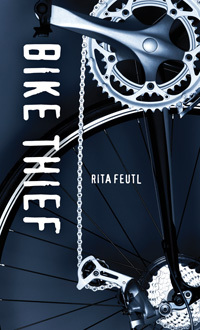 Biography: Born in Toronto to immigrant parents, Rita Feutl learned English after she started school and discovered all the books in the library. She wrote her first story when she was seven. Rita grew up to be a journalist, editor and teacher. She writes books for kids and young adults when she’s not cycling or traveling or—best of all—cycling and traveling. Rita lives in Edmonton, Alberta, with her husband. It's only stealing bikes. Who could it hurt? It’s only stealing bikes. Who could it hurt? 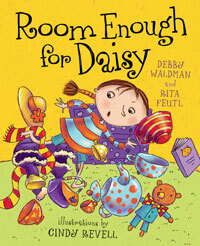 Daisy's room seems small until she discovers what's really important.